Master Box Dimension : 23" X 25" X 25"
It's time for a birthday celebration with all sorts of sweet dessert! 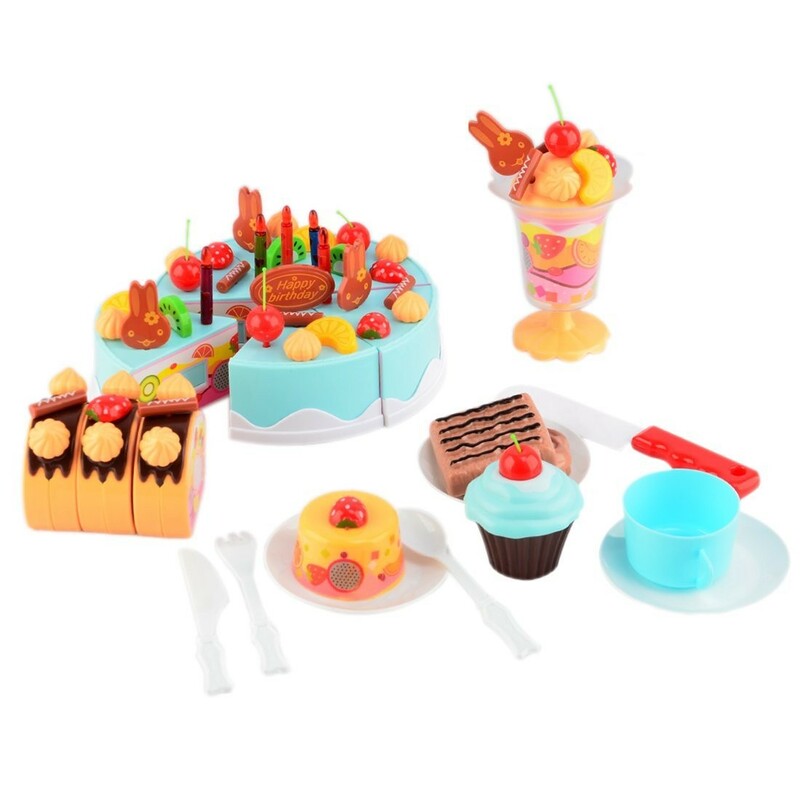 This birthday cake pretend play food will have kid's mouth watering because it comes with all different varieties of sweet desserts and a big birthday cake. 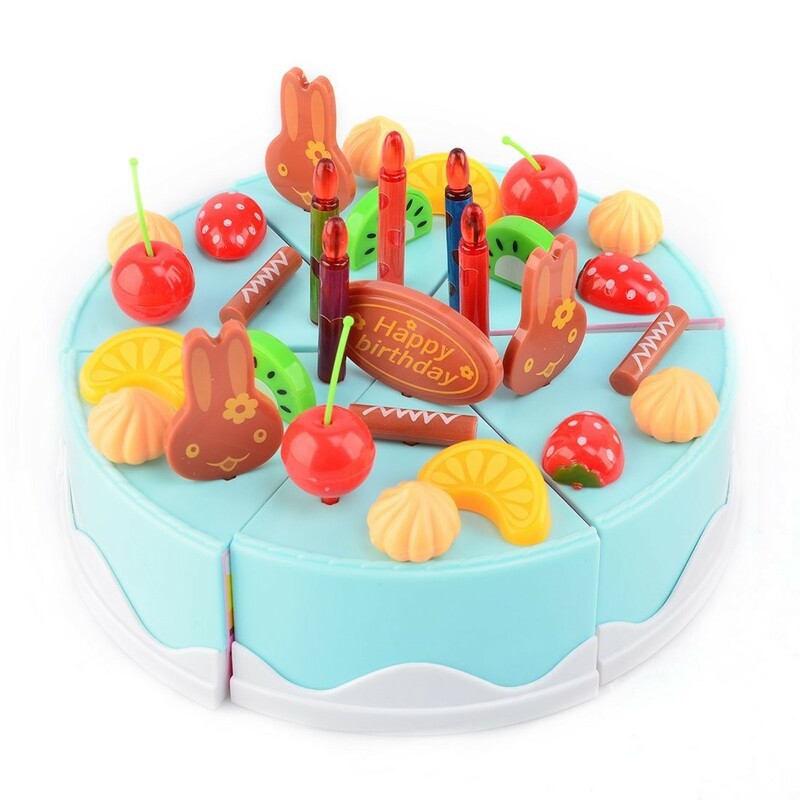 The cakes and other items are detailed with bright vivid colors, so it will look like the real dessert. It's great for celebrating any birthdays or just simply great for pretend role playing. Cake and other desserts can be cut in half and put back together using the Velcro. Includes a wide range of sweet and delicious desserts such as, cake, cookies, cupcake, and more. Great for role playing and birthday celebrations!